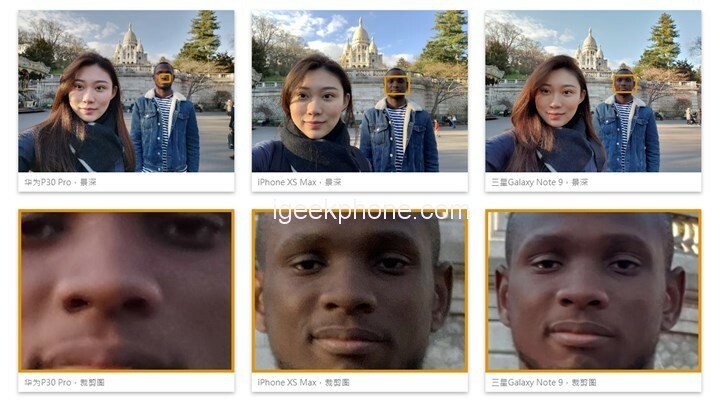 DxOMark announced the Huawei P30 Pro’s front camera score, Huawei P30 Pro front camera scored 89 points, surpassing Xiaomi 9 ranked first domestic mobile phone. 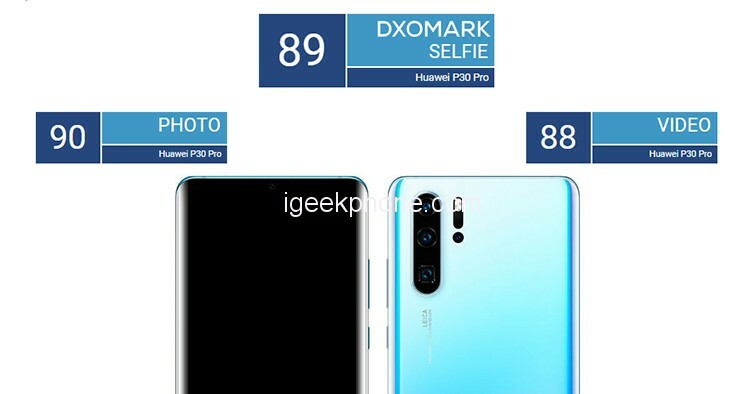 On the DxOMark mobile phone selfie list, Huawei P30 Pro ranked fourth after Samsung Galaxy S10+, Google Pixel 3 and Samsung Galaxy Note 9. The P30 Pro is the latest flagship phone from China’s tech giant Huawei, with an eight-core processor and a powerful Kirin 980 chipset. In terms of self-portraits, its front-facing camera uses a 32-megapixel Quad Bayer image sensor, 28-mm equivalent focal length, f/2 lens, and records video at 1080p 30fps. The Quad Bayer image sensor divides the pixels into four, allowing the P30 Pro to record video at different exposure times with four pixels and then combine the four-pixel data into one to produce the final HDR video output. In terms of still images, the image output is still 32 million pixels. 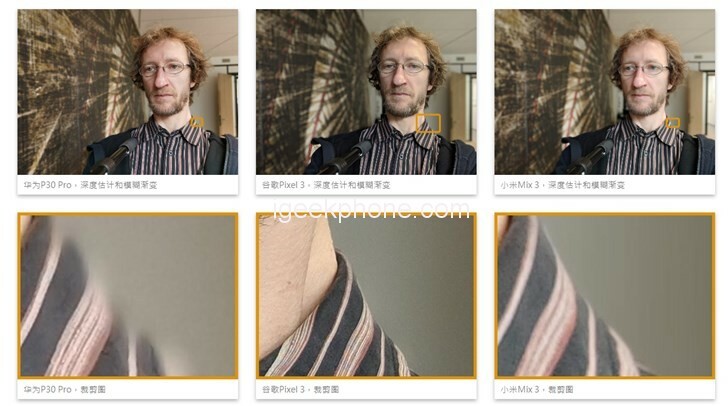 For self-photographing heads, such resolution can be said to be very high, but the pixel pitch is very small, only 0.8 microns, which reduces the sensor’s ability to collect light. Many competing models are 1.4 microns. 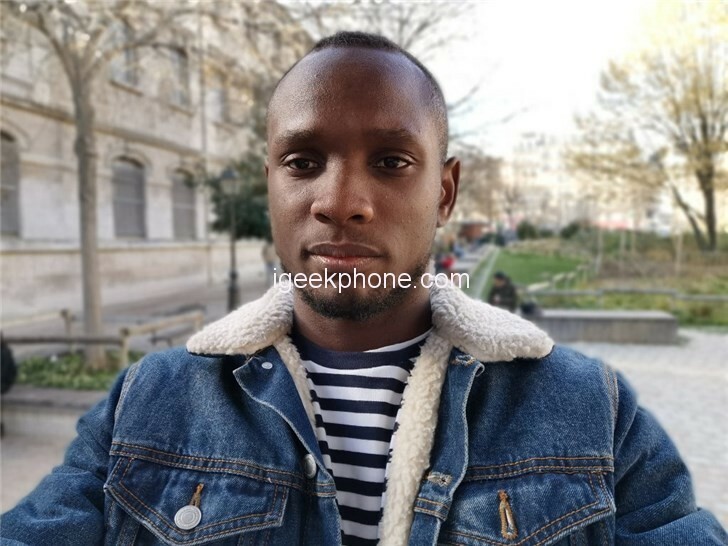 Our testers have been busy testing the performance of the Huawei P30 Pro front camera. Please read our full report to understand the performance of this camera. 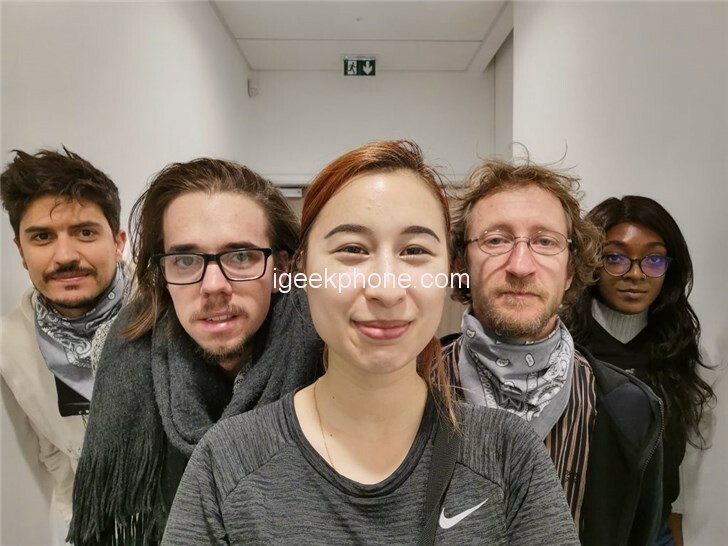 About the DxOMark Selfie test: DxOMark engineers use the default settings of the front camera to take more than 1500 test photos and more than 2 hours of video in a controlled lab environment and indoor and outdoor natural scenes, and then evaluate their results to Achieve scores and analysis of smartphone front camera reviews. Huawei P30 Pro scored 89 points in the DxOMark Selfie test, and its performance is quite solid. Its key advantages are good exposure performance, wide dynamic range, and accurate color rendering. The Huawei P30 Pro achieves consistent and accurate exposure results under all lighting conditions, and its performance is comparable to that of the best-performing mobile phone in this test program. So, whether it’s a high-contrast outdoor scene, a backlit portrait, an indoor photo, or nighttime photography, you can be confident that your face will get accurate exposure, and that high-gloss and shaded areas will retain good detail. The P30 Pro scores very well in terms of color, and in most cases, it is usually possible to produce pleasant color renderings and accurate white balance. Its outdoor color is not as saturated as some mobile phones, but the color is still quite bright; we have observed some small problems of warmth under artificial lighting, and the dark skin has a reddish color, but this has little effect on its color. The color performance is basically quite good. The P30 Pro’s bokeh simulation mode is also acceptable by blurring the background to isolate the portrait. The depth estimation is not perfect. Some slight blur can be observed on the subject, but there is no serious artifact, blur effect. The application is also quite consistent. Unfortunately, the dynamic range of its bokeh photos is much smaller, so the highlight background may be overexposed. Texture/noise compromises are acceptable; although the P30 Pro’s resolution is very high, its level of detail is not the best performing phone in this category. In high light, the details of the Huawei P30 Pro are quite in place, but the details are obviously lost in indoor and low light conditions. Unnatural sketching also makes the facial details look strange; some ghosting artifacts, excessive sharpening and ringing effects It is also obvious. Similarly, the noise level is generally acceptable, but when examined carefully, some slight luminance noise outdoors and thicker noise accumulation under low light are quite noticeable. Focusing is an area for Huawei P30 Pro to be improved because its fixed-focus lens is not as competitive as the competitive model with autofocus. The P30 Pro’s camera captures a truly clear face only at a medium distance (approximately 55 cm), and close-up (30 cm) images are still acceptable, but the face shot at a distance (120 cm) becomes noticeable. Blurred, and the depth of field is also quite shallow, so the background is out of focus. The P30 Pro scored a total of 88 points on video and is one of the best performing mobile phones in the video category, with excellent exposure and color performance. In addition to extremely low light, the video delivers accurate exposure at all light levels, with good face exposure and wide dynamic range both indoors and outdoors, thanks to HDR video processing, which is currently available. Not often seen on the front camera. However, its HDR processing makes the noise of outdoor video very obvious, and the compromise between texture and noise is not as good as some cameras without HDR video, but the facial details in the outdoor and indoor video are acceptable. In short, the image quality of Huawei P30 Pro video will only be seriously damaged in low light conditions. The shortcomings are low exposure, lack of detail, under-saturation of color, and obvious noise. 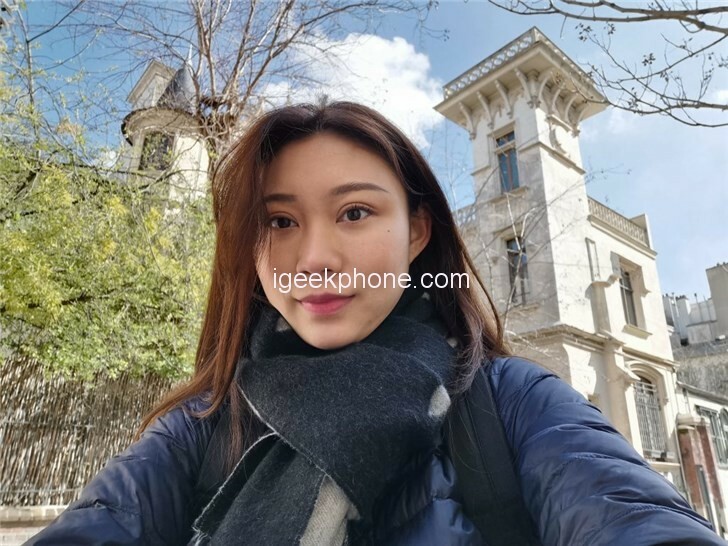 The Huawei P30 Pro front-facing camera achieved good results in the photo category (90 points), but its ranking is slightly behind that of some top-of-the-line phones that use the autofocus system. We test and analyze the different images of the still image of the camera under different lighting conditions, and then calculate the photo results from the test results and analysis. In this section, we will examine the image quality scores for each test item and analyze the key aspects of the P30 Pro’s image quality and its differences from the main competing models. Huawei P30 Pro can achieve accurate measurement exposure on the face under almost all conditions, and can also display a wide dynamic range in high-contrast scenes, so the exposure score is very high, ranking top in this database. The exposure measurements we measured in the lab showed that the exposure on the 18% gray color block of the 24-color card check was slightly higher, resulting in slightly lower image contrast. This slight overexposure can result in some slight spill-cutting texture on the face shot in strongly directional sunlight, but this rarely happens and does not pose a problem. The P30 Pro still maintains good exposure at low light levels as low as 5 lux, and only photos taken at very low light levels of 1 lux are significantly underexposed. The dynamic range of the Huawei P30 Pro is one of the best we’ve tested, and it retains good highlight detail in difficult-to-handle high-contrast scenes. As you can see in the sample below, the P30 Pro photo background has fewer clip art textures than the iPhone XS Max, and it performs slightly better than Note 9. There are some tonal compressions in the image, the contrast is a bit low, but all the details are preserved. The exposure was roughly accurate under indoor lighting, and our testers were also impressed with the photos taken at night. 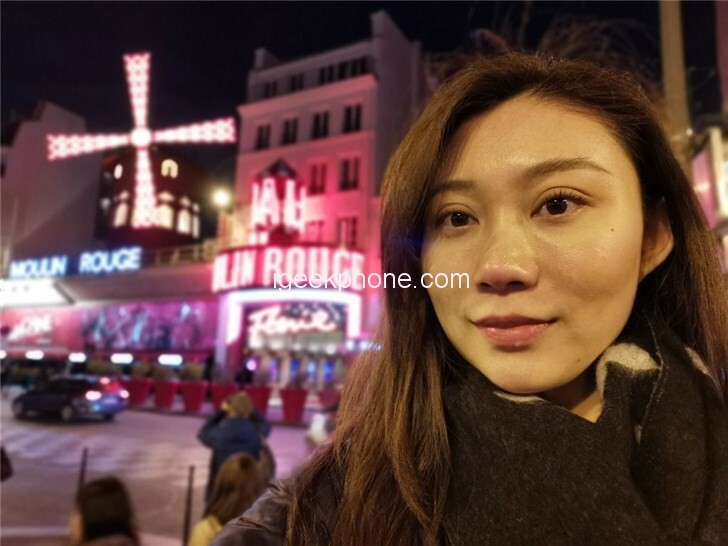 You can see in the following photo of the P30 Pro’s wide dynamic range to ensure the overall exposure while providing accurate facial exposure while retaining more highlight detail in the highlights of the background. The overall color of the Huawei P30 Pro is also one of the best performances we have tested. The outdoor image has a pleasant color rendering and the white balance is roughly accurate. The image below shows the good color performance of the Huawei P30 Pro. Although its saturation is slightly lower than that of XS Max and Note 9, the color rendering is still pleasant and the white balance is more neutral. The color of the indoor image is also very good, with good saturation and accurate white balance, but our testers also observed some reddish hue on the dark skin in the indoor and backlit images. In this indoor photo comparison, the skin color of the Huawei P30 Pro is slightly redder than the XS Max, but not as red as the Note 9 proof. Under the extremely weak warm light of the artificial light source, the white balance will be orange; the red/orange color on the dark skin is also evident in some of our backlit portraits; slight color vignetting can also be seen in all images; But in general, the P30 Pro performs quite well in terms of color. The P30 Pro’s performance in focus is weak, although its score is significantly higher than the previous P20 Pro, its fixed focus lens cannot get clear focus results at different distances compared to the camera with automatic zoom. 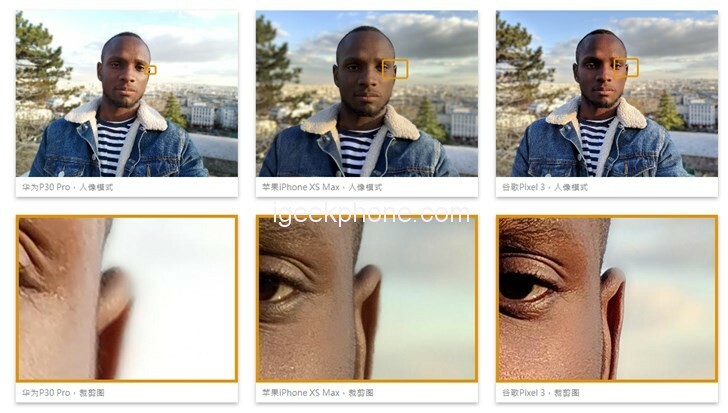 Huawei P30 Pro’s best face focus range is at medium distance (55 cm); although the close-up (30 cm) focus is acceptable, the closest focus on the nearest test distance is in the ear. Surrounding, while closer details such as the eyes are slightly out of focus; portraits are significantly out of focus at a distance (120 cm), so for travel or environmental portraits that want to take more space and contain more background The autofocus camera provides better focus on the main subject and provides more detailed background detail. The P30 Pro’s high-resolution sensor and small pixel pitch also result in a shallower depth of field than some of the flagship competing models, so the faces behind the first subject are usually blurred and the background is often out of focus. The noise and texture of the P30 Pro are better than that of the P20 Pro, but it is still not the strength of Huawei mobile phones. The Huawei P30 Pro can get rich details in static scenes. Our testers also recorded nearly 80% of the lab analysis. Sharpness; however, in weaker lighting conditions, the detail disappears quickly, and the sharpness is only slightly above 40% at 5 lux; in addition, the camera is difficult to have a subject unless it is in a very good light. Good details are taken in the moving scene. Even in high light conditions (1000 lux), the P30 Pro’s 32-megapixel high-resolution sensor captures textures that are not as good as the best phones in this area. For example, Google Pixel 3 can clearly display fine details such as eyelashes. The Huawei P30 Pro handles the balance between texture and noise well in outdoor photos. Although some fine brightness noise can be seen in the P30 Pro background, very fine details are lost, but it is in our right Scores are high in perceptual analysis of textures and noise. Under indoor lighting conditions, the overall effect is still quite pleasant, but when you check it carefully, you will find a thicker accumulation of noise on the face, especially in the shadow area. In low light, the noise of the P30 Pro starts to become a bit coarse and with a slight chromatic noise. In contrast, the noise particles of the XS Max are relatively small, but neither is as clean and smooth as the Note 9 image. The noise is minimal. The P30 Pro’s details in low light are not well preserved, and there are some unnatural details, and the over-sharpening of facial details is also obvious. Obvious image quality defects (ie, artifacts) are the reason for our deduction, and the main deductions for the P30 Pro are the ringing effect, color quantization, and distortion (or distortion) and color shift of the face. On outdoor images, a significant ringing effect and a noticeable white line or halo effect caused by the above-described excessive sharpening can usually be seen along the high contrast edge; in addition, ghosting effects often occur on moving subjects. When the picture of the collective picture is full of faces, the deformation (face stretching and distortion at the edge of the picture) becomes a minor problem. The P30 Pro’s flash performance is quite solid and performs well in completely dark and mixed lighting conditions. The main disadvantage is a white balance: the white balance may be inconsistent during continuous shooting, and the skin color with a slight pink or orange color will be taken. If you don’t talk about these problems, the test results are quite good. In the absence of additional lighting, the exposure of the subject in the center of the picture is good, although the problem of flash drop and fine detail loss at the corner is quite obvious, and some small brightness noise appears in the background, but this is the best performance. The performance of the mobile phone is not far away. Mixing the flash and some additional artificial lighting can improve the exposure of the entire picture while reducing the problem of flash drops. The level of detail and noise remains roughly the same. Although the P30 Pro provides a good bokeh simulation for portraits to blur the background, its bokeh simulation is not as effective as some of the best performing cameras in this category. A key reason for this is that bokeh photos are not HDR processed, so under high contrast conditions, the background and face’s spill-cut textures are usually very noticeable. Depth estimation is acceptable under most test conditions, but not as good as the best performing camera. When you check it carefully, you will notice that the subject is obviously blurred; the bokeh shape is slightly unnatural and there is no blur. Gradient hierarchy, so regardless of the distance between the background and the subject, each part of the background is equally ambiguous; however, the noise is consistent in both the blur and the sharp areas, thus producing a realistic effect; The result of the bokeh mode can also be repeated in continuous shooting. Huawei P30 Pro front-facing camera scored 88 points in the video, and together with Samsung S10+ became the double champion of video category. It has improved in many areas than P20 Pro, and the results in the indoor and outdoor video are also very good. We use the scores of the following video evaluation items to calculate video scores: exposure (71), color (80), focus (76), texture (61), noise (71), the artifact (87), anti-shake (79). The key advantage of video mode is exposure. In most cases, face measurement is well exposed, and we only recorded underexposed video in low light conditions. The P30 Pro is one of the few phones that offer HDR video processing on a front-facing camera that helps improve the dynamic range of indoor and outdoor video. The P30 Pro uses its Quad Bayer image sensor to record video at different exposure times, ultimately outputting 8-megapixel HDR video, but the small pixels of its 32-megapixel sensor produces a lot of noise, but these noises have no effect. The P30 Pro’s exposure score ranks second in its video exposure score, just behind the iPhone XS Max, which also recorded HDR video. The color in the P30 Pro video is also one of the best performances we have tested, thanks to the good color rendering and the pleasant white balance of the interior and exterior. Color saturation is often insufficient in outdoor video, but it is still quite pleasing, and it is color performance is only really affected in the underexposed low-light video. Like still images, the P30 Pro’s fixed-focus lens and limited depth of field result in lower scores in focus, which means that the P30 Pro has only a narrow space to capture the clarity of the face. In the outdoor video, the details of the face that is in focus are acceptable, and the indoor video also has a very good balance between texture and noise; in the light as low as 100 lux, the texture retention is still quite in place. 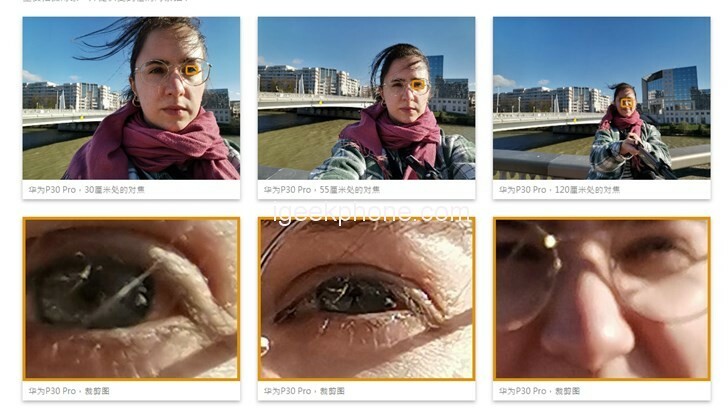 Sharpness is around 70%, but the details of the P30 Pro movie file are not as rich as we have seen on other top phones, so the texture is not a key advantage of the camera. As mentioned above, the outdoor video of the P30 Pro may have a lot of noise, because the balance between HDR processing and the camera is not as good as what we see on non-HDR video cameras; noise is also very low in the low-light video. obvious. However, anti-shake is another big advantage of P30 Pro video, its camera can quite effectively offset all sports effects, P20 Pro and P30 Pro are the best performing mobile phones in this regard. Huawei mobile phones have recently attracted smartphone photographers with their first-class camera innovation and excellent image quality. 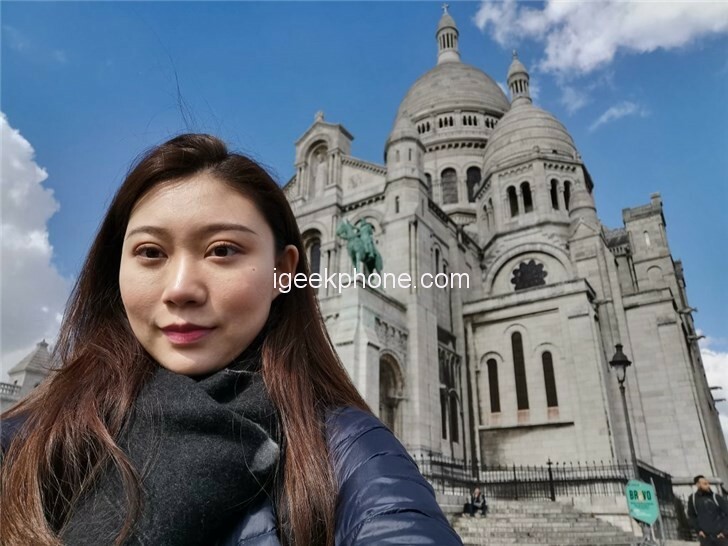 Although the P30 Pro front-facing camera is not as impressive, it has a significant improvement over the P20 Pro. P30 Pro’s still images and video exposures are excellent, and its HDR performance is one of the best in the current self-portrait. Color is another great strength of the camera. It can produce pleasant color rendering and accurate white balance. Even if the bokeh simulation is not perfect, it is quite good. However, the P30 Pro still has some room for improvement, especially for fixed-focus lenses and limited depth of field; the details and texture of its 32-megapixel high-resolution sensor also have some room for improvement. Despite these shortcomings, the performance of the Huawei P30 Pro front-facing camera is still very strong and worth recommending. The depth in the bokeh photo is good.